Dixieland Lives at Central Market North! The Texas Community Music Festival is off and running this evening at Central Market North. 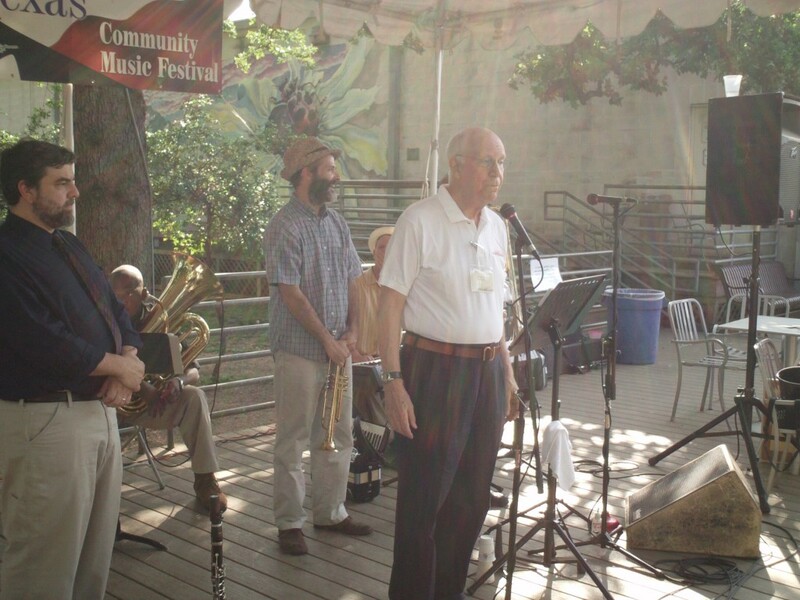 The Cafe patio quickly filled as listeners enjoyed beautiful weather and the TCMF’s opening lineup presented and sponsored by the Austin Traditional Jazz Society. More to come. Stay with us throughout the Fifth Annual TCMF right here, on Twitter at @TCMFestival or on Facebook.